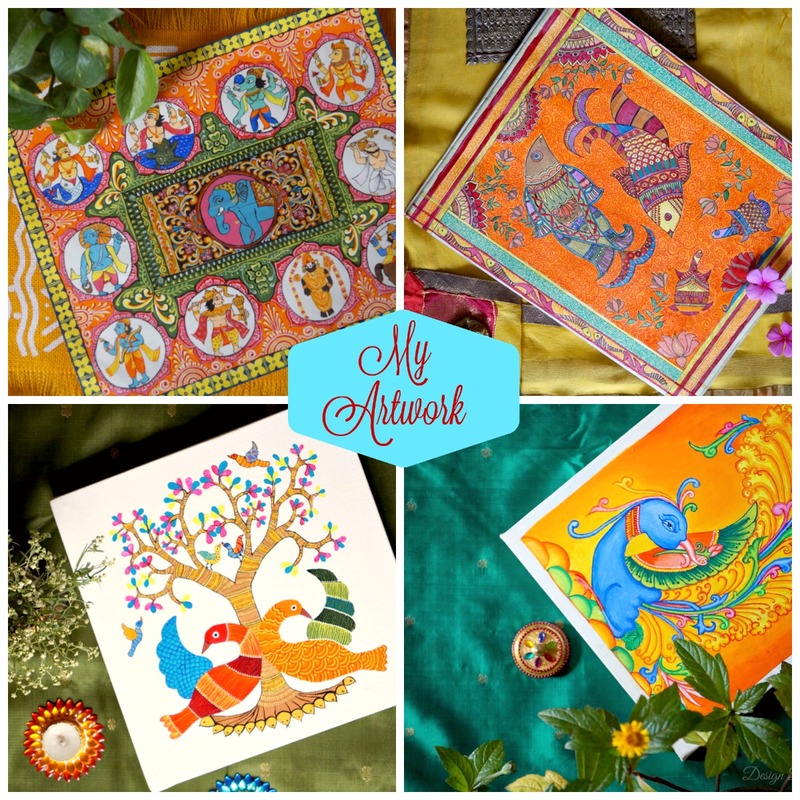 Today I'm sharing with you is a decorative art form of western India. Lippan Kaam, Mud Relief Work or Mud Mirror Work is done inside huts in Kutch in Gujarat. 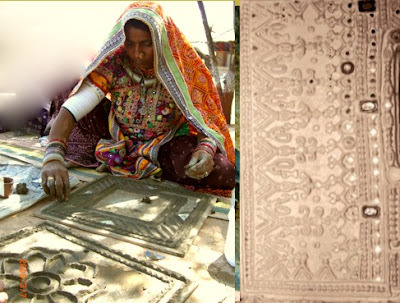 Lippan work is done mainly by women of Rabari community of Kutch. Women are so expert that they don't even trace or draw motif on the wall. The mud is prepared by mixing clay with camel dung(as a binding agent as it contains fibers) and then kneaded with water. 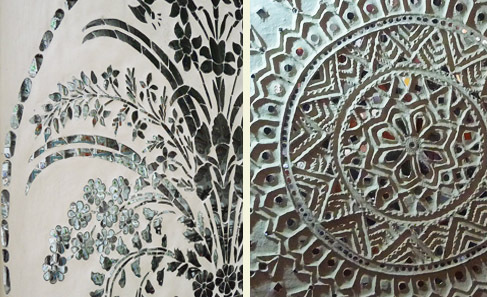 Glue is used to stick mirrors of different sizes and shapes like triangle, diamond, round and sometimes embroidered mirrors. Work is usually done inside the huts called bhungas. 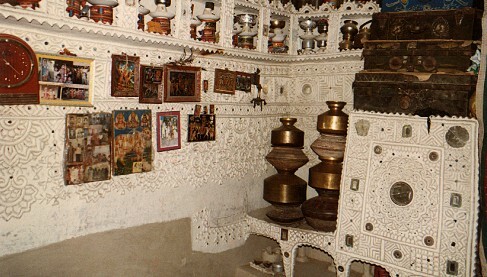 These huts are made of mud and are known to be earth quack resistant. If you want to explore more about this art click here. It's a very informative and interesting article. Soon I am going to do this lippan work in my home too (lots of incomplete project in a queue though). It looks so ethnic and Indian. I totally love this work. Have a wonderful weekend and stay creative friends!! You can get connected with me on Instagram (click here) to check out some random images that I share every now and then. 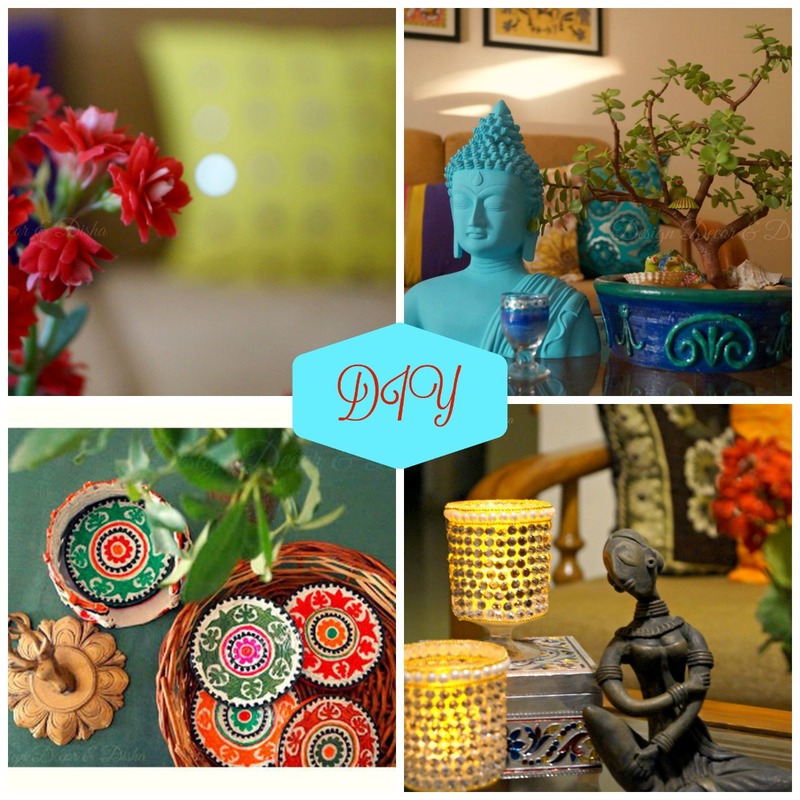 beautiful posts Disha. I love lippan work and so want to do a wall with this. but hardly have any idea of whom to approach. @Anonymous:Please go through the links in post for more details on this art. 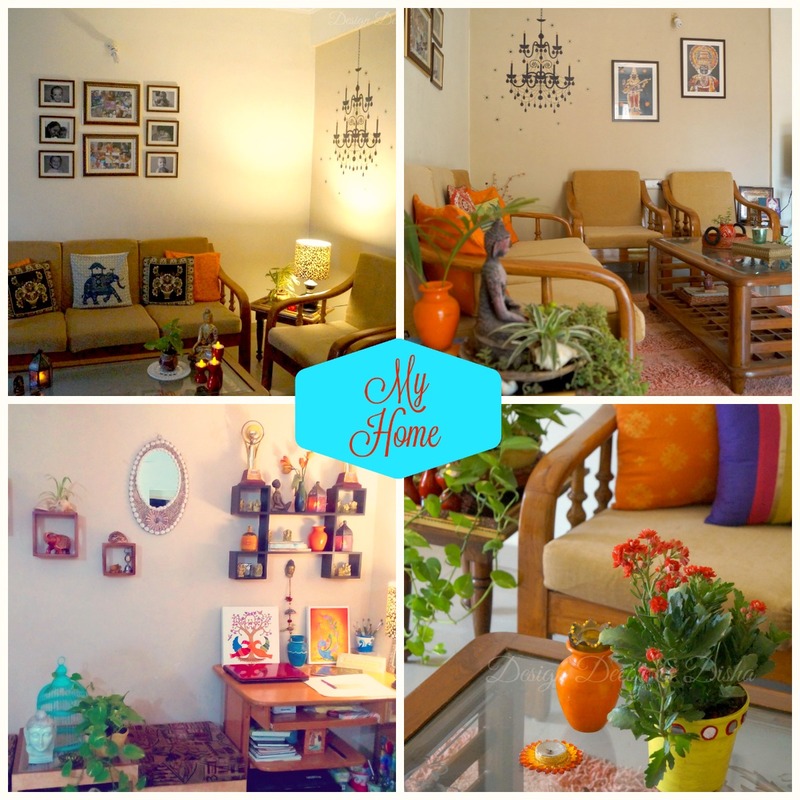 Did you get to doing this art in your home? Is so please let me know how. Even I am interested in doing this art in my home. I didn't do it any of these at home. though if you wish to do at home then please go through the links given in post for all the details on how to do it. Thanks Chinar I am glad that you found it informative. You can either use clay or fevicryl shilpkar MSeal is also a better option.